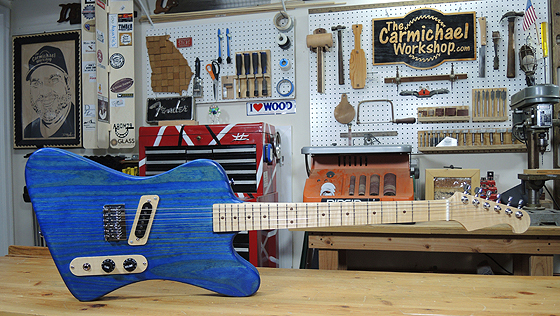 This week is going to be a busy one in the shop with projects going on, plus The Woodworking Show is coming this weekend. 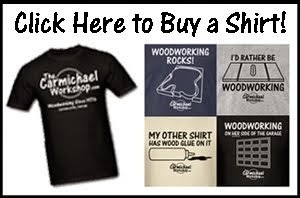 I'm looking forward to a 4-day weekend hanging out with my YouTube woodworking buddies and meeting people who watch our videos. If you are in the Atlanta area, stop by The Woodworking Show at the North Atlanta Trade Center this weekend and say hello! Wanna trade stickers? Click here to email me! Wanna buy a sticker? Visit my Etsy Store! Visit the Video Woodworkers website to find out who will be at the show this weekend. Stop by the Gwinnett Woodworkers booth to see some of my projects. Read my article and get the plans for my Shop Stool Project. Get more info on the James Green Pen Turning Challenge. Have you seen my SawSquawk Birdhouse? In case you missed it, I was on the Let's Talk Shop With Russ show. Sign up for my newsletter! On the right-hand side of my website, there is a place where you can enter your email to get my content delivered straight to your inbox. I plan on coming up with some stuff that you can only get through my newsletter. Be awesome and buy a T-Shirt from my Spreadshirt Store!